Manchester, UK – A “remarkably successful” Latin Pack 2018 - CHILE has confirmed for JM Heaford that its strategic focus on building local service and support in Chile is benefitting customers and boosting market share. Visitor footfall and customer engagement during the inaugural Label Pack show (June 7-8) reflected increased sales momentum and growing awareness of Heaford technology since appointing Packaging Xpert as its agent in Chile. 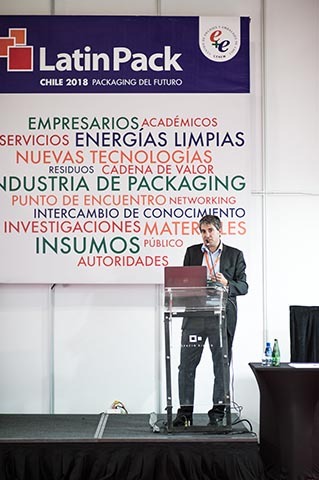 As well as being an active participant in the successful launch of Latin Pack, Nick Vindel, Latin America Sales Manager at JM Heaford, was invited to present a keynote address on developments in mounting technology during the event.